Keeping with my a-seasonal decor as I clear out my backlog of outfits, here is another Christmas tree picture with an outfit more seasonally appropriate in color for spring. But, the skirt was new, as were the bracelets, so I had to break them out early. I’m a fan of wearing colors whenever you want, honestly – particularly if the weather where you live warrants it (none of this saving white for after Memorial Day when it’s already been almost 90). But, it is important not to get too carried away, and at least anchor the pieces with something more appropriate to the weather. In my case, I did that with leggings and boots. I added my fun purple bangles, and kept the rest of the jewelry rather simple to let them carry the weight of the attention. And with that, I was ready to bring some color to an otherwise dreary season. 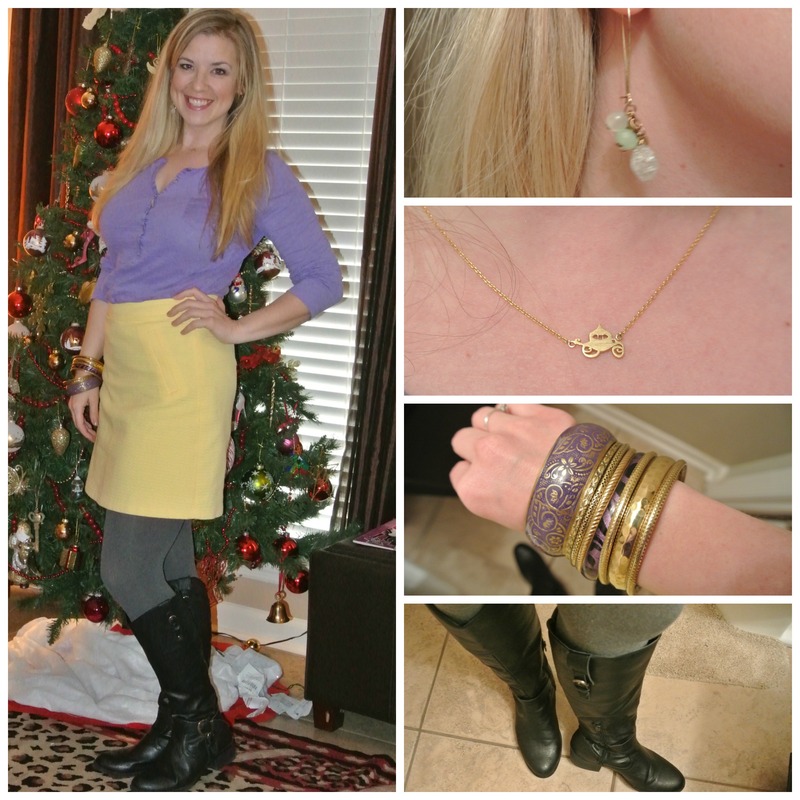 How do you feel about wearing colors out of season? Do you try to reserve spring colors for spring, etc, or just mix everything up? What about red/green when it’s not Christmas or black/orange when it’s not Halloween? Let’s talk color!